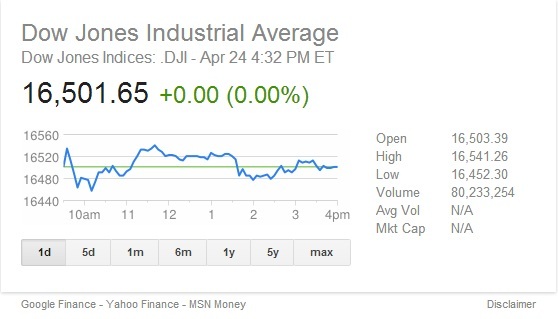 No change in DJIA for the day! I’m not sure how many days like today has there been, but this seems pretty incredible to me! Not having one particular topic to focus on, today’s post will take a look back at the important happenings in May. May was the month where 30-year residential mortgage came close to going over the psychologically debilitating, and actual 4%, mark. If the upward trend continues, the days of über cheap mortgages might be drawing to a sharp close. Sir Alex Ferguson, the manager of Manchester United, retired after 27 consecutive years in charge. He is, inarguably (and yes, this is one of those times that inarguably is correctly used), the most successful manager of any professional sports team, anywhere in the world, of all time. And this is coming from an Arsenal fan. If you don’t know who Sir Alex is, or what he has done, my first question to you would be: under which enormous rock have you been hiding, for the last 20 years? Any number of links I insert in this post will not be enough. Search, and you’ll be answered. An eye opener. See if you what you “think” corresponds to reality. The visual corroboration of that statement. Since we got the Nissan Rogue a few months ago, I’ve been agonizing over how much I’d have to pay more in gas, as this vehicle gives approximately 3 miles less per gallon compared to the earlier Mazda6 it replaced. How will this pare out on my wallet over the course of the vehicle? To quantitatively analyse this I’ve come up with a couple of spreadsheets which will tell me very closely how much more I’m shelling out for gas. 1) Number of miles I drive this in a year – For the past few years I have averaged around 15,000 miles. I will make this constant. 3) The mpg that I’m getting out of the vehicle – The Rogue is averaging around 24.8 mpg, whereas the Mazda6 averaged 27.5 mpg over its course with us. Which, with the added AWD and space of the Rogue, I’m okay to live with. To further this exercise, I have changed a few of the above 3 variables to give a broader view. This article from CNN resonates with me unlike anything else that has been proposed with the current US tax code. A very simple premise: instead of taxing income, tax spending. Going back to a post from last year, and now with Mitt Romney paying an effective tax rate of 14.1% – because almost all his ‘income’ are not traditional income, i.e., income from labor, but capital gains and investments. Thank you, Mr. McCaffery, thank you! We bought a Nissan Rogue on the last day of last month. Or let me put it this way. We bought a new 2012 Nissan Rogue SV AWD, with premium package (with added splash guards and rear bumper protector), on 31st August. Details matter. So does research. Since we knew that Brinda was on her way into the world, we made the decision to sell off one of our sedans and get a compact SUV, for the most obvious reason: space. And also for the less-obvious reason of switching to an AWD vehicle (both our cars were FWD). Living in Minnesota, having AWD on all vehicles should be the law! Honda CR-V, Hyundai Tuscon, Kia Sportage, Nissan Rogue, Toyota RAV4, Mitsubishi Outander, Ford Escape and Subaru Forrester made it to my spreadsheet. The VW Tiguan did not, as it does not come in an AWD option. I have stopped considering GM as a viable option after they took government bailout, and declared bankruptcy, only to emerge from all this unscathed. Just the stockholders were left with their pants in their hands. I’m not going to distinguish Chrysler – even with Fiat taking over – with a comment. In terms of the features, price, mpg, reviews – the CR-V was the clear winner and I was almost certain we’d end up with that. But we wanted to give all the vehicles a fair chance and armed with all these information, we started test driving these vehicles the last weekend in August. By the time Vivian finished her test drive of the Outlander (we went in order they were mentioned above), she knew the one she liked the best. The Rogue. Since this was going to be her ‘primary’ car, the Rogue is what we finalized on. Now comes the part I enjoy. The actual pricing out of the car and the buying process! The first step of the pricing-out process is already baked into the test drive stage. 1. For the test drive, go to the dealership from which there is a very little chance of your buying the car. You can know this by researching in your area, which dealerships offer ‘no worry buying experience’ or ‘one price dealership’ or such gimmicky catch-phrases. These places are the least likely to budge on the price. Go to one such rigid, high-faluting dealership and milk them. 2. After the test drives, once we finalized on the make/model/trim/package of the vehicle we wanted, I went and searched the inventories of all the other (except for the one I’d already been for the test drive) dealerships in my area. There are 5 more Nissan dealerships in a 30 mile radius. All of them had at least one vehicle which matched our specifications. 3. Then I sent out the following missive (or a slight variation) to each dealership, through their website. I am looking for a new 2012 Nissan Rogue AWD SV, with Premium Package. I see you have 8 vehicles which match my criteria. Edmunds says the Invoice price for this configuration is $25,144. I am also aware of the $500 Bonus Cash, the $500 NMAC Cash available from Nissan. I am also looking at the 0.9% 60 month financing from Nissan. I know I will qualify for this APR. I will put down at least $10,000 as down payment. I’m looking to take possession by this weekend. With all the above information taken into consideration, please give me your BEST price. Period. I will not negotiate with you on the price nor come back with another number. The price that you quote is the price that I will expect to pay you (plus TTL, which approximately comes to around $2000) if I buy from you. I would expect the base price (A) and the TTL fee (B), with a total drive-off-the-lot price of (C = A+B). I will put down $10,000. I will finance the rest (D=C-10,000) at 0.9% for 60 months, with monthly payments of E.
Please provide the numbers for A, B, C, D and E.
Just to clarify, I’m not looking at this exact vehicle that I requested the quote for, rather among all the vehicles that are in your current inventory or anticipated in near-future inventory. Looking forward to your email response. a. I did not provide my phone number. I only want e-mail communication. With e-mail communication, the facts and numbers are there in black and white in front of you. Also, the sales person has less opportunity to work his/her ‘charm’ on you, as with a telephonic conversation. b. All rebate information and special financing offered by Nissan is documented in my mail. These information are readily available in the Nissan site (nissanusa.com) and the first dealership that I test drove the car, confirmed them as well. c. Explicitly mentioned out is the fact that I was not going to play games with them, nor going to pit dealer against dealer. Neither was I willing to haggle with them over the price. d. I just wanted 5 numbers. e. My starting price point was the invoice price. Not the MSRP. f. With all the above points, I wanted to convey that I was a serious buyer, looking to complete the transaction quickly. 3. Within 2 hours of my sending out these 5 mails, I had responses, with all the 5 numbers I wanted, from 4 dealerships. The fifth one came in next day morning. With 6 quotes (5 through e-mail and the one from the test drive dealership), I was ready to hit the road. Literally. 4. As it would happen, the lowest quote (which was $200 less than the next best one; a whopping $2,500 less than the worst one!) was from a place just 5 mins drive from my work. The next day, I drove to this dealership closest to my work the first thing in the morning. The sales guy who had responded to my e-mail was not yet in, and I got hooked up with another guy. I had a printout of our electronic correspondence, and showed him. He skimmed over it, nodded and asked enthusiastically if I was ready to go out for a test drive. Now I was getting into my game. 5. When I contacted the dealerships through their website, I had to select a vehicle on which I was requesting a quote or wanted more information. On each site, I just selected a 2012 Nissan Rogue SV, with premium package, WITHOUT any other extra options or accessories. For this particular dealership I was actually eyeing another vehicle in their inventory, same 2012 Nissan Rogue SV, with premium package, but with couple of more options – rear bumper protector and splash guards – a $150 value. I suggested to this sales guy if we could take that other vehicle out for a drive instead of the one that I got the quote on. Of course, he said and out we went on a joy ride. 6. After coming back to his desk, I played my trump card. Calmly, looking directly into his yes, with a steady tone, my exact words were, “If you can give me the vehicle that we just test drove, at the price that was quoted in the e-mail, I will buy this car right now.” This guy looked at me, and quietly said, “Let me talk to my manager. I’ll be right back.” Five minutes later he comes back and says, “Yes, we can make that happen.” My car buying is done. 1. Timing – time of the day, day of the month, month of the year – plays a crucial role in getting the best deal. Yes, dealerships have incentives on the total number of units sold in a month and will go (a little) out of their way to meet their numbers at the end of the month. Car makers usually have “holiday deals” around most major holidays. Labor Day, typically has more significance since the next year’s models are either on the lot or coming soon. Incentives abound to get the current year’s models out of the lot fast. Also, when I walked into the showroom early morning, I was the only customer in that dealership. The sales staff were focused and they had two very clear choices: start off their day on a real positive note, with an early sale; or not. I’m pretty sure if I had gone there an hour later, they would not have agreed to basically give me the added options for free. 2. Be firm in your tone – written, vocal and physical attitude, but mix that with courteousness. Develop your script before-hand and stick to it. 3. Research and get the facts! Truecar, Edmunds and KBB are all good places to know the MSRP, Invoice and actual selling price of the vehicle in your area. You’ll get to know how much rebates and incentives the car maker is offering (to all dealerships/customers) and you’ll get know if there something more the dealership is offering. Zero percent APRs ARE offered by car makers, or stay as close to zero as possible (0.9 is pretty close!). Compared to the lowest invoice prices that I could find on the internet, my base price (without TTL – taxes, title and licence – fees) was less than I could find anywhere, for the exact same model and options! 5. Don’t get stuck up either emotionally, on a particular vehicle/dealership/sales-person, or the non-essentials, like the colour of the car. Be prepared to walk away. That was half the fun. Now to sell my Mazda6. I had taken it to a Mazda dealership and got the 50,000 miles (though it was technically a few hundred miles less than 50K) check-up done on the car – a $185 value. With this piece of printed paper, detailing what all is right (everything) with the car and what needs repair (nothing), I went to the sales floor of the same dealership and asked for a quote if I sold them my car today. No trading in or anything. Outright selling to the dealership. They gave me one. Going back home, I pulled up the KBB value of the car. Now KBB values of used cars comes in 2 broad different categories: What my current car is worth, and, What should I pay for a used car. “What I should pay for a used car” basically is what a dealership will sell you my car for, after I’ve sold it to them. With a jack-up of a few thousand dollars. If they can make it a Certified Pre-Owned (Certified Pre-Owned, another scam, which is like a divorced person saying, “I was already married, you know I’m certified pre-banged”! ), then raise a couple of thousands more. Trade-in value and Private party seller are the 2 values you’ll get under “what my current car is worth”. Dealers will pay you the trade-in value, no matter if you’re trading in or not. Why I did not trade in my car for the new vehicle is this: then they have 2 numbers to play around with – the price of the new car and the worth of the old car. Private party sellers are the general population to whom you can directly sell the car. The quote my Mazda dealership had given was a pretty good one. It was just a little below the “excellent” (out of excellent, very good, good and fair) trade-in value of the car suggested by KBB. But, I was looking for more. Close to the private party excellent value. With this thought, I put out ads in Carsoup, Craigslist and Local files. In the ensuing days, I got calls from prospective buyers. In the meantime, I also took the car to a couple of other dealerships, just to get few more quotes. Those quotes were far below the initial quote from my local Mazda jig. After a couple of showings to regular people (“private party”), I finalized on a deal which was $1,600 more than the best dealership offer. There, this ends my longest blog post till date. This is an out-and-out rant, after reading this article on how much should one tip for services rendered. Pure and utter balderdash. Why would anyone be REQUIRED to tip? For ANY service. It seems like (no – read it as: The norm is) there are certain favourable profession where it is expected – almost mandatory – to tip, to even ensure basic services that we are already paying for. Let’s see, who do we tip? Waiters/servers, bartenders, home food delivery guy, hair stylists, parking valets, cab drivers. And few more, you get the gist. Do all these professions pay below the minimum wage? Some do, some do not. Now, let’s have a look at a list of professions which pays comparable, or lower, or are more menial to the ones listed above. Grocery store employees, workers at a fast food joint, janitors, amusement and recreational assistants, dishwashers, gaming and sports book writers and runners, ushers, ticket takers (look at Table 1 and Table 2 here). How many of these people do we ever tip? Just because they are “behind the scenes”, out-of-sight-of-mind, not very presentable people? A smiling server comes up to us and asks, “How does the food taste tonight?” and we feel the excruciating impulse to please this unknown person, and say “Good”, even though the truth might be a little farther down the road. We leave a tip – a 10% or 15% or even 18% or top out at 20% – for this person. On top of the sales tax. Read the last sentence. Most people tip on top of the sales tax – the gross amount you are charged in your check – not just the amount the service was rendered for! Somewhat arbitrarily society have deemed a certain section of the working class as “people who we must provide gratuity”, never mind if there are certain other sections who are more in need or deserving. This Tuesday – January 10th, 2012 – we had a high of 53° F (12° C), an all time high for this date ever recorded in The Cities. After a high of a breezy 38° F on Wednesday afternoon, we hit a low of 19° F at night. By Thursday, we were back to a normal(!) 12° F (-11° C). A 41° F change in temperature in the course of 2 days. Not in 2 continents, or in 2 countries, or in 2 states, or even in 2 cities in the same state. In the same freaking city. 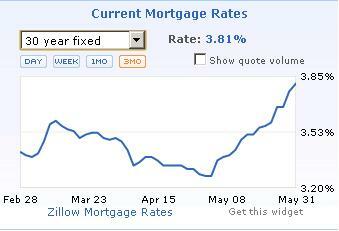 Talking about extremes, the mortgage rate for 30-year old loans fell to 3.89% in the US on Thursday, January 12th. This is the lowest on record dating to 1971. Refinancing, anyone? Another (soon going to ‘record’) low: Team India, after falling to 161 in their 1st innings against Australia in the 3rd test in Perth in the current series, are well and truly on course to their 7th straight loss (and 8th as well, taking the 4th Test in consideration) in away Test matches. After their record 17 straight loss in away Tests from 1959 to 1968, this current streak is the longest. Anymore talk about the ‘golden generation’ is unadulterated balderdash. The IPL killed the Test-star (sing it along the tune of Video killed the radio star). Now a personal extreme: This week was the 1st 5-day work-week for me since the week ending December 9th, 2011. We might see a 42° F change in 2 days, in the future; the way the mortgage rates have been dropping, another new record low might be just around the corner; Team India might touch new lows. But for me to have 4 consecutive less-than-5-day work week …now that is some record that would be hard to beat! …when you can get more cash back on your credit card than you can earn on interest on your bank accounts (checking/savings accounts). If that did not sink in, read the sentence above again. Then close your eyes and think what this means. No one – the government, banks, corporations, the SYSTEM – wants you to save money. It’s all about spending, baby! On one of my cards I get back 1.5% on every dollar that I spend. On another, I get 1% guaranteed back, and 5% on various categories, which change every quarter. The 2nd card gives me anywhere between 2 to 3% cash back every month. When compared to the rate offered by most banks, either brick-and-mortar or online, which is a pittance nowadays. You’d be lucky to get even 1% rate of interest on your checking or savings account. Except, certain credit unions and small banks which offer over 4% interest on your saved up money. Use this link to see the rates in your area. Now think about one reason why you would not avail these. …when you go to the theater to watch a Hindi movie and invariably there are babies/infants/toddlers who will cry out time and again. How hard it is for Indian parents to either a) not go to a movie when you have a kid who is young enough to disrupt everyone else’s viewing time b) get a baby-sitter at home, if you really can’t wait for the movie to come out on DVD? Apparently, quite hard. Doesn’t fail to happen every single time we go to watch a Hindi/Bollywood movie (which is not very often)! And the strangest part of it all is that the same parents will never take their babies to a Hollywood movie. It is just somehow acceptable to take them to Hindi movies, where you know there will be an overwhelming majority of Indians. The thinking goes something like this: Oh, everyone is Indian there, they won’t mind my baby screaming at the top of its lung. We DO mind. A lot. ..and Daniel Gross finds faults with his proposal. Not just Mr. Gross but most of the Republican establishment. Mr. Buffett wrote an editorial for the New York Times, in which he lays bare certain facts. Eye openers (if your eyes weren’t open till now, that is). – Last year my federal tax bill — the income tax I paid, as well as payroll taxes paid by me and on my behalf — was $6,938,744. That sounds like a lot of money. But what I paid was only 17.4 percent of my taxable income — and that’s actually a lower percentage than was paid by any of the other 20 people in our office. Their tax burdens ranged from 33 percent to 41 percent and averaged 36 percent. – Since 1992, the I.R.S. has compiled data from the returns of the 400 Americans reporting the largest income. In 1992, the top 400 had aggregate taxable income of $16.9 billion and paid federal taxes of 29.2 percent on that sum. In 2008, the aggregate income of the highest 400 had soared to $90.9 billion — a staggering $227.4 million on average — but the rate paid had fallen to 21.5 percent. Daniel Gross, economics editor at Yahoo! Finance, says that the only reason Mr. Buffett wants to do this is to “build that much goodwill”. He also adds, that if Mr. Buffett wants he can simply write out a check to the IRS with whatever amount of money he thinks he should sacrifice. The idea that if tax rate increases, over 200,o00 households earning more than $1 million a year will be compelled to pay more in taxes, is conveniently overlooked. The fact of the matter is, spending cuts and tax increase needs to go hand in hand to reduce the federal deficit. This is not anymore an either-or scenario. Cuts and tax increase. Reality. No one likes to see more from their paychecks disappear as tax, including me. But this is the only way forward. It just boggles my mind how ordinary middle class people are so opposed to even the idea of raising taxes on the top 1% (or doing away with the Bush-era tax cuts). Do they seriously believe that they are going to in the 1% in their lifetime? I just don’t get it. dougEfresh on First among equals?